Read about all our favorite things! 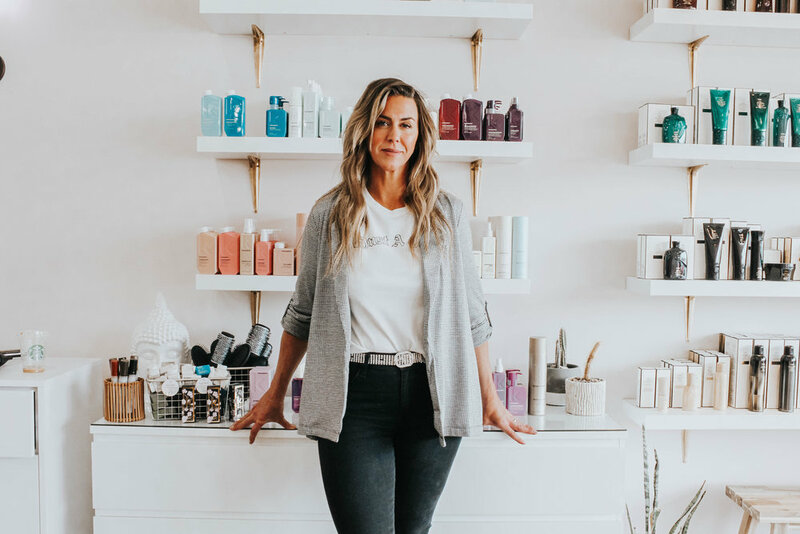 ‘Do what you love’, has never been a truer statement to describe what Katie Hoke Harrower, owner of Hank and Ax Salon, has done her whole life. She has always followed her intuition which led her to live in Colorado and California, go to beauty school, and a little over three and a half years ago; open Hank and Ax. And along the way, she has never wavered from being herself. An Omaha Native, Katie has been in the industry for 17 years. Before becoming a licensed hairdresser, Katie explored her options. She graduated from the University of Nebraska Lincoln with an English degree in hopes of becoming an English professor. Instead, Katie moved to Denver with her husband where she became a sales representative for Paul Mitchell as a job she could do in between going snowboarding. While she lived in Denver, being a sales rep for Paul Mitchell, she fell in love with the industry. 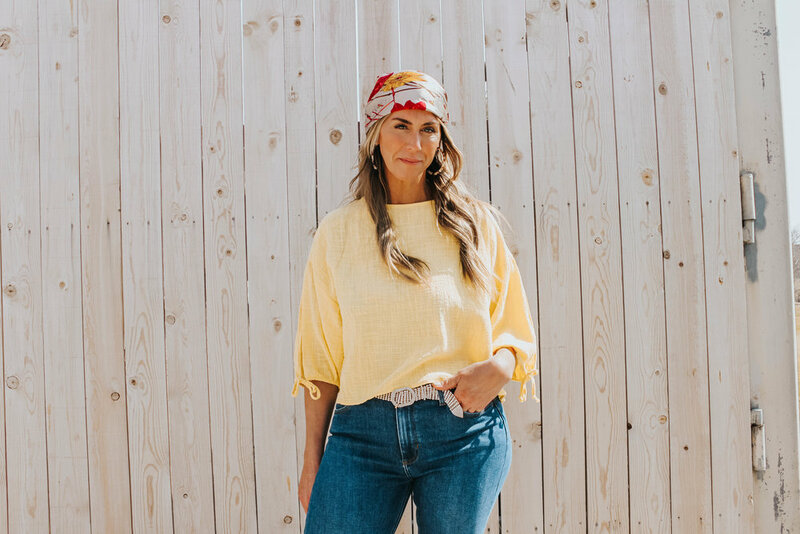 It wasn’t until she moved to Newport Beach, California with Paul Mitchell, that one of her biggest mentors, who was a hairdresser, told her she needed to go to beauty school to better her sales. Katie went on to beauty school….“And sure enough, I fell in love with doing hair,” she says. But Katie was always a natural when it came to doing hair. But that is how Hank and Ax is, they are all boss babes and get the job done, all while having fun and making memories. What was your reasoning on moving back to Omaha and starting a salon here? 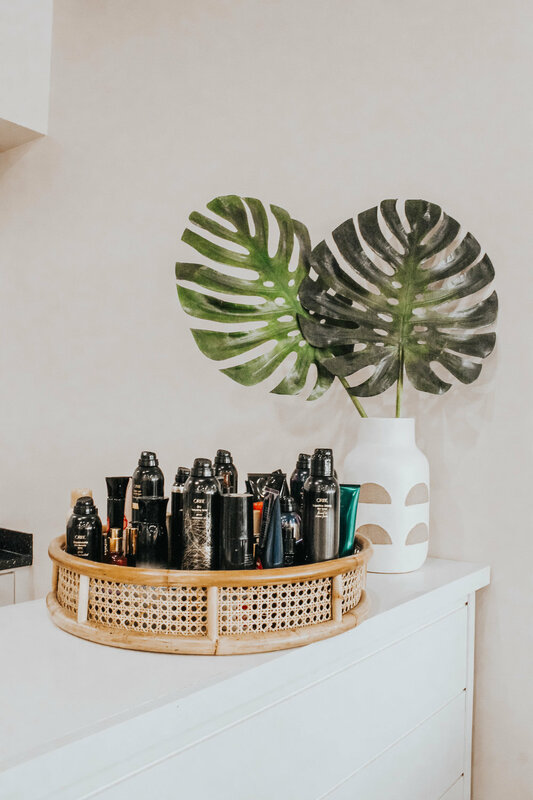 When Katie moved back to Omaha, she went from working for Paul Mitchell, to being a stylist in a salon, to having her own salon suite. “I loved that that for about a year, but then I really missed the camaraderie of other hairstylists,” Katie said. The idea of opening up her own salon was never a pipe dream for Katie. 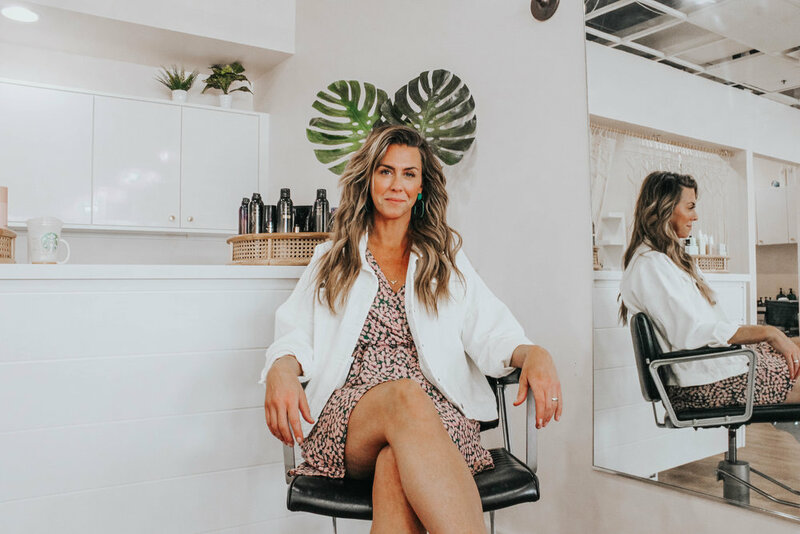 With an entrepreneurial mindset instilled in her at a young age, there was never any hesitation when it came to the decision of opening up her own salon. How long has Hank & Ax been open for? “The salon has been here for a little over three and a half years….and it was just me to start. I didn’t have a front desk, I didn’t have anybody, and then Kelsey came and we’ve just been growing since then,” said Katie. “But you had this space,” said Allie, referring to the space the salon is in currently. “Yeah , we gutted an old salon, painted it white, and I was like ‘okay we are good’...I didn’t put too much into it because I thought “we’ll just build from there’,” said Katie. Where did the name Hank and Ax come from? Are you thankful that you did open up your salon later on in life? Without any hesitation, Katie says, “yes”. When talking about her girls and the power of social media…. Side Note: During the interview, every so often Katie would look over at her girls, who are with their clients and say words of affirmation and complement them on their work. With that, not once does she call them her employees, but they are her girls. As if, and because they are a family here. Five, ten years plus...where do you see Hank and Ax? Who would you like to thank, those people who helped you grow, have been behind you, and have helped you make this business what it is today? What does it mean to beyourself? For Katie, it was the summer between Freshman and Sophomore year of high school. Katie was part of a group where she thought she has to act and dress a certain way, even though there was another group that she was more like. What’s In The Works for Hank and Ax? 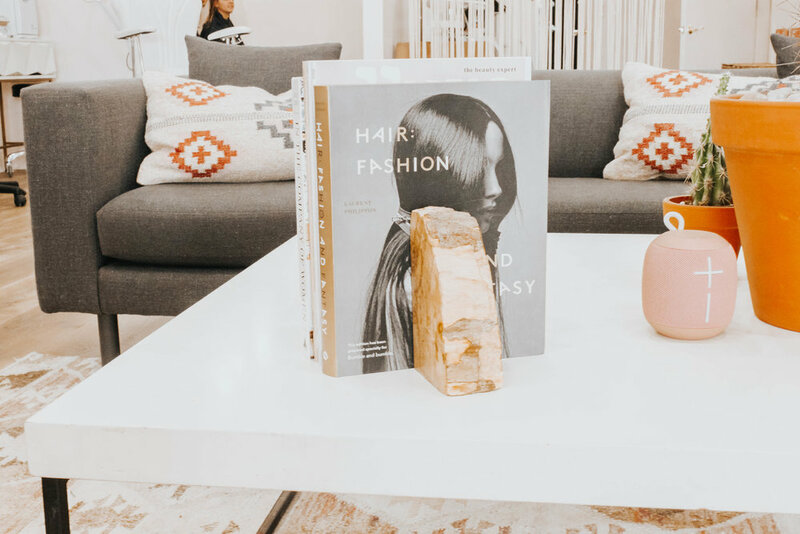 This month, the salon got a little revamp…..think muted pink walls, a new skincare room, a coloring bar, and a fun seating area in the center of the space. To book an appointment at Hank and Ax, visit their website, www.hankandax.com, or text the number (402) 932-6599!